1. Master's Degree in any discipline. 2. Degree/Diploma (of two years duration) in Library Science. 3. Two years’ experience in the line. 3. Five years’ experience in the line. i) For TGT (English) - English as an elective subject at Degree level. b) Four years integrated course in Special Education for Visual Impairment from a recognized University or equivalent with 50% marks in the concerned subject. Diploma in Teaching the Visually Impaired (Secondary Level) or B.Ed. Special Education (Visual Impairment). c) Proficiency in Bharati and Standard English Braille Grade II. i) Knowledge of Computer Application. 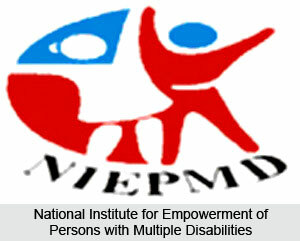 ii) Two years’ teaching experience in teaching the visually impaired. i) Graduate with 2-3 years experience in the field of Audio recording. b) Clarity in pronunciation and accent in Hindi/English. c) Adequate knowledge of reading, writing and speaking Hindi/English. d) Should be able to quality in audio tests. b) Diploma/Certificate in sound recording. c) Three years’ experience in the field. Mode of Recruitment : By Direct Recruitment. a) 12th Class or an equivalent qualification from recognized Board/University. b) A typing speed 35 words per minute in English on computer.